Occult Rock Magazine: BLACK TUSK / DEAD YET? 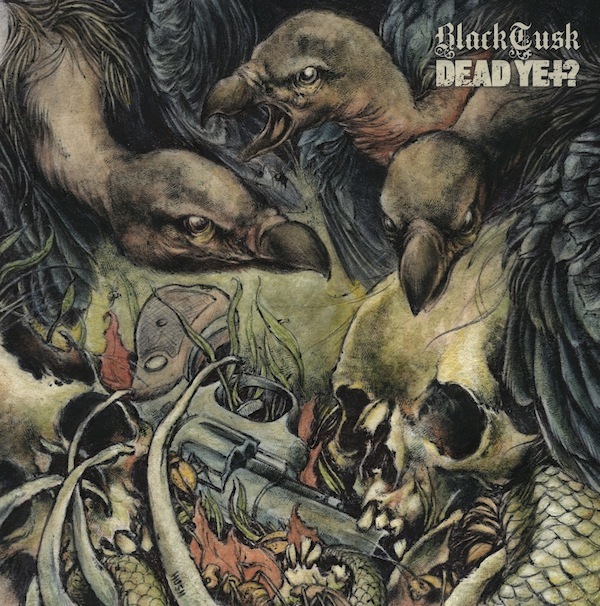 Split 7"
BLACK TUSK / DEAD YET? Split 7"
Savannah, GA's premiere outlet for extreme tunage, Hyperrealist Records, is pleased to announce a collaboration between longtime friends and metal/punk scene stalwarts BLACK TUSK and DEAD YET? Featuring two songs apiece - an original and a cover of one of their brother band's joints - the 7" split is limited to a thousand copies and comes entombed on translucent swamp fog green. Both sides were recorded and mixed at Jam Room Studios in Columbia, SC, and the record's official release came via Hyperrrealist Records. BLACK TUSK and DEAD YET? played a handful of Southern gigs to celebrate the release of this limited edition split, and the small batch run of special diehard versions that were pressed for and available exclusively at these shows is already sold out. Don't sleep on this one!